Christmas is around the corner meaning that it is almost time for many of my favorite family traditions. One of my family's traditions that I look forward to the most is our Christmas Eve gathering. Since my mother was a child she has spent Christmas Eve at her grandmother's house. I am so grateful that this tradition has continued on with myself and my daughter. Every year we gather around, exchange gifts, eat appetizers and snacks, and enjoy each other's company. Every year one of the items that we make are pizza pinwheels! These appetizers are so simple and a huge hit among children and adults. This year I knew that I had to use my favorite sauce, Bertolli® Riserva! I know that my family will love it's authentic Italian taste. While preparing for this year's Christmas Eve festivities I took some time to check out the Bertolli® cooking school! I love the tips and tricks that they share. My favorite right now is tip number 68, how to prepare an Antipasti Tray! We love getting out our finest wooden tray and filling it with our favorite meats, cheeses, fruits, vegetables, and crackers! It is the perfect appetizer! Enough about other appetizers though! I know that you are here to learn how to make pizza pinwheels! 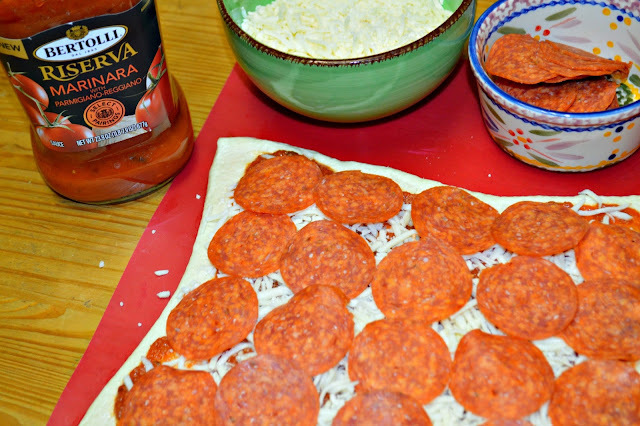 Preheat your oven to 350 degrees F. Roll out and flatten pizza dough, put down a layer of sauce, put in toppings. top with cheese. Once everything is on top of the dough roll it up. cut into one inch slices, and put on a greased cookie sheet. We also like to top with cheese. 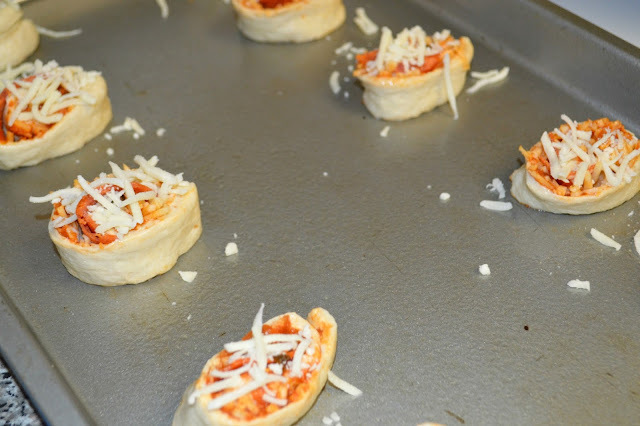 Bake pizza pinwheels for 10 minutes or until golden brown. 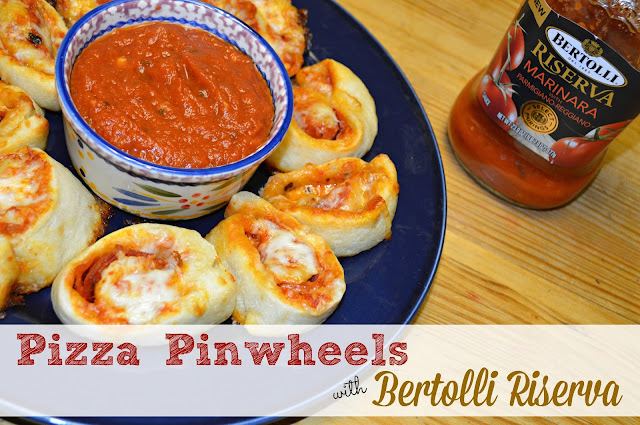 Serve with Bertolli® Riserva as a dipping sauce! Join Bertolli® in celebrating 150 years of food, family, and fun by sharing your family's traditions and life's little victories in the comments! 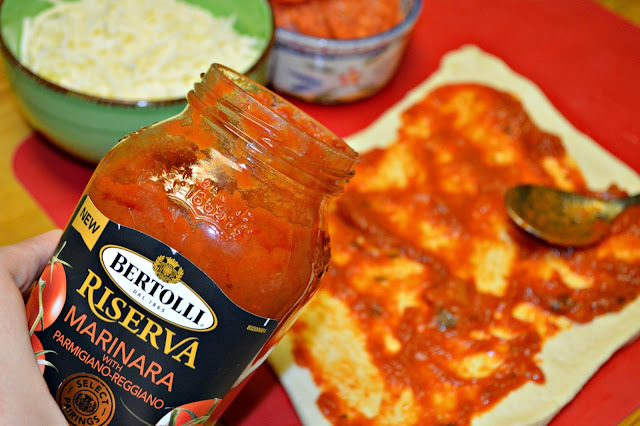 Don't forget to get a coupon to save $1.50 on Bertolli® Riserva sauces! Yum! 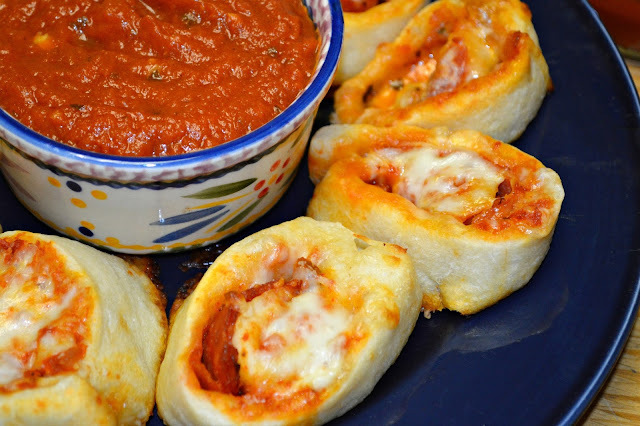 We love pizza pinwheels, haven't made them in a long time...definitely making some for dinner tomorrow!